Parakeets, otherwise known as budgerigars, are energetic little birds that adapt quickly to new environments and are very sociable. This often makes them perfect as pets since they make little mess and are otherwise easy to care for. 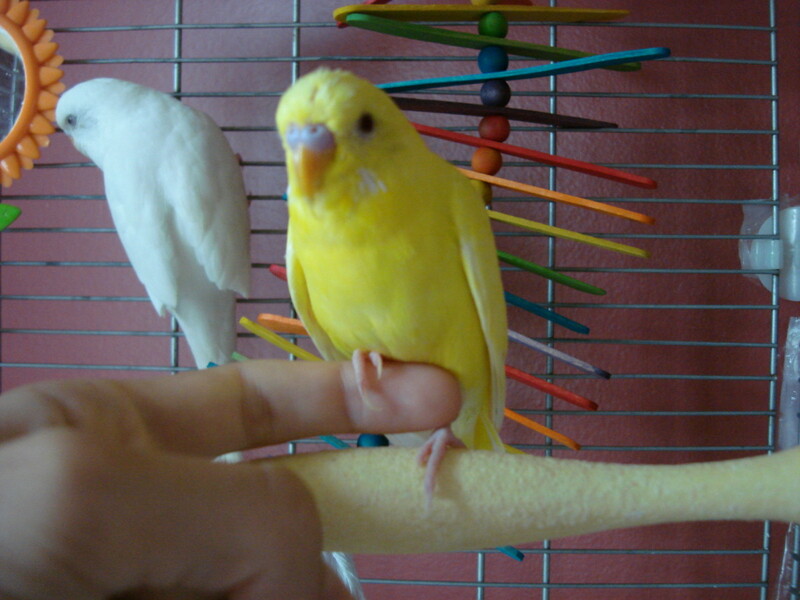 This article will discuss one method on how to finger train a parakeet that still bites your finger or does not want to come out of its cage. 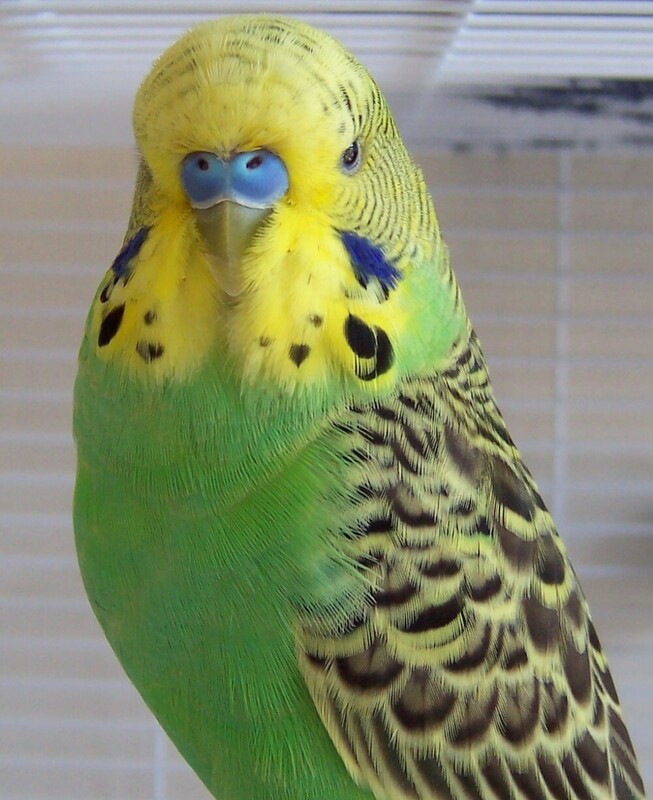 Parakeets that are bred and raised by hand should not have trouble adjusting to humans and by the time these budgies can fly, they are already tame. However, parakeets which are purchsed from large commercial pet stores are not hand raised are often still wild and afraid once they are brought home. The article will discuss how to train a store purchased parakeet. Once you bring a parakeet home from the pet store, it is important to let it get accustomed to the house. It is best if it is kept in a quiet room that is only occasionally walked in, such as a guest bedroom. 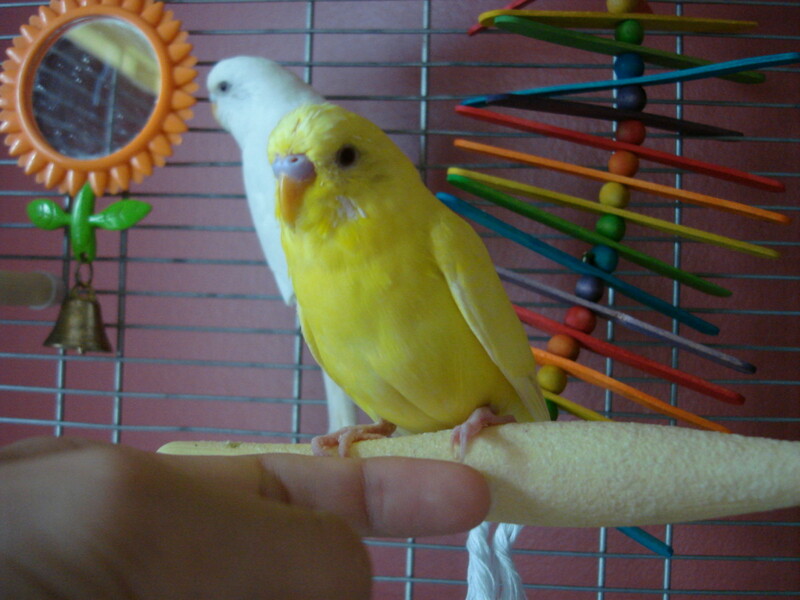 Leave the parakeet in its new cage in the room and visit it a couple of times that day but do not open the cage. I recommend leaving the bird alone for at least one day, two days is even better. At the end of the second day, begin by opening your parakeets cage. If it comes out on its own, that's half the battle. 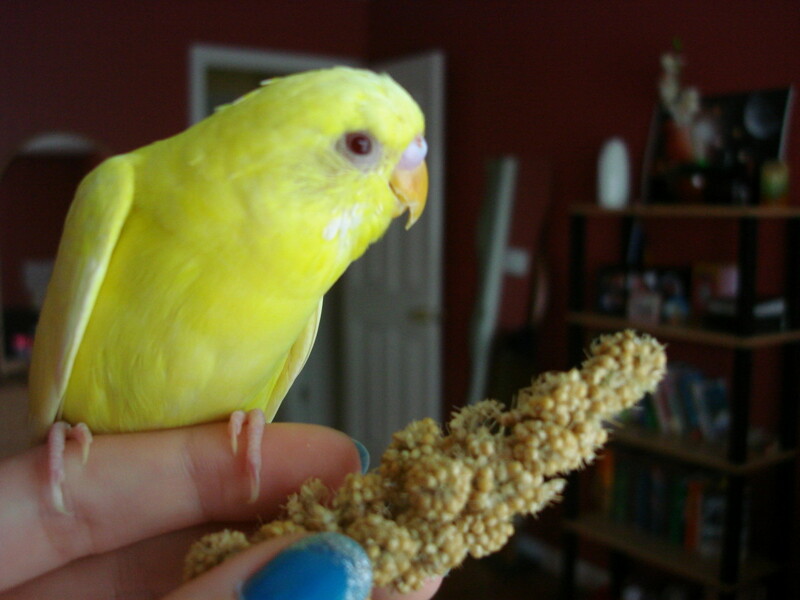 If it does not try holding a piece of millet next to your finger so that the bird has to step on your finger to get to the treat. If it still does not come then darken the room so that you can see the parakeet, but the parakeet can not notice you. Take a small light towel or a glove and gently take the parakeet out. Place it on top of the cage and open the lights. Note: Make sure your parakeets wing feathers are trimmed so that they can not fly away too far. Have some treats nearby, but leave them aside for now. The parakeet will probably be too terrified to eat at this point so have patience with the next steps. Have a light glove on your hand if you think you may not be able to handle a parakeet bite. It hurts if it bites, but it is not as unbearable as you may think. It is important NOT to jerk you hand away if the bird does bite you as it will teach it that biting you is effective in making the danger (your hand) go away. 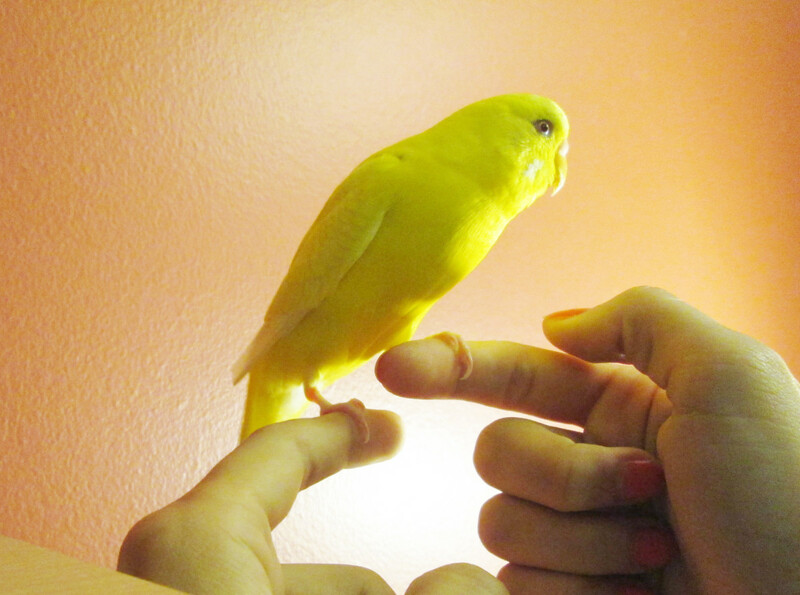 Slowly extend your finger toward the parakeet. If the bird backs away, follow it slowly with your finger extended. 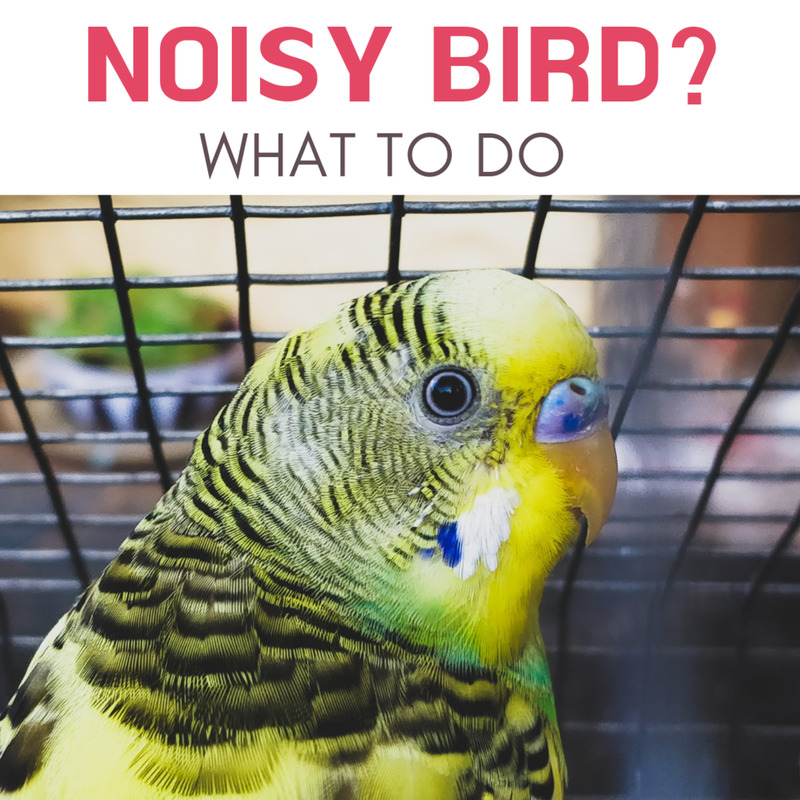 If the bird flies away somewhere into the room, it should land on the floor or somewhere you can reach it (if you had its wing feathers trimmed). If the bird is on the floor, get on the floor as well and follow it slowly with your finger keeping your hand near its feet. The bird will be scared and try to defend itself, but do not get discouraged. 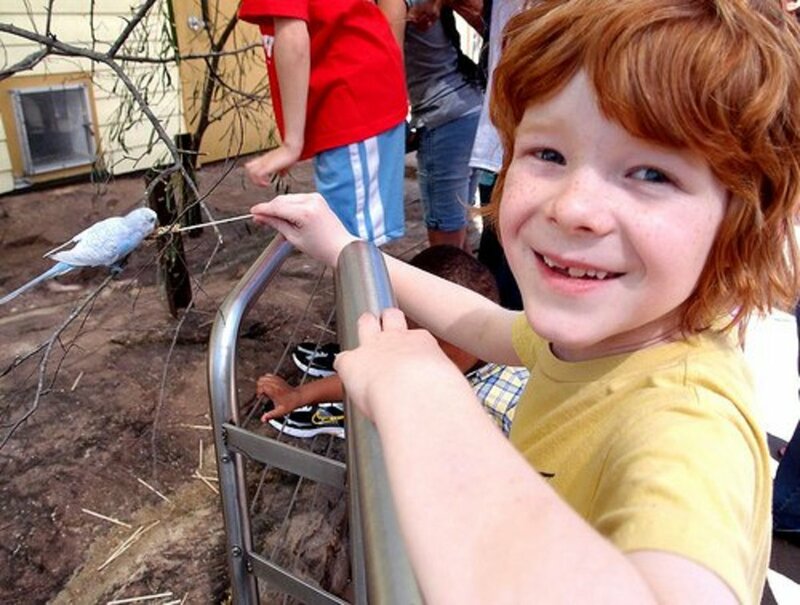 Try leading the bird somewhere in which the only way out of that spot is if it jumps over your hand or onto your finger. A corner of the room is one option, or the corner of the top of their cage. Extend your finger to the base of its feet and push lightly since the bird will not automatically jump on your finger just because you are touching it. Keep trying until the bird is on your hand. 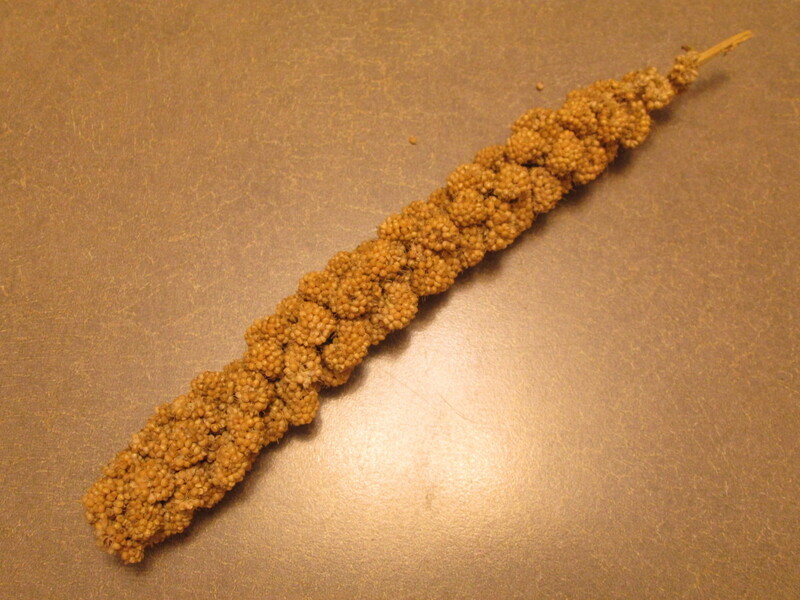 Offer some millet or other tasty treat but do not force your bird to eat if it do not take a bite. At this point, take your other hand and try to have the bird step from one finger to the other, you may have to push at the base of its feet in order to get it to move. At this point it may try to bite, so stay alert and remember not to jerk your hand away. Again, use a fabric glove if needed. If the bird flies away, just repeat step 4 until your bird is stepping from one finger to the other. Offer, but do not force, a treat again. Keep the training sessions short, about 15 minutes once or twice a day. You can repeat this routine until the bird comes out of the cage willingly. If your bird does not respond to this type of training, no worries, there is more than one way to train a parakeet. Scroll below to watch a video showing a different method of training. How long did it take to train your parakeet? Since parakeets are sociable and playful birds it should not take too long to train them. The time needed may vary among parakeets and is also influenced by how much time is spent with the bird. All of the birds I have finger trained (quite a number) have taken a week or less to train, and their skills have gotten better with more practice after that. Do not give up, it is not very time consuming to train a parakeet. 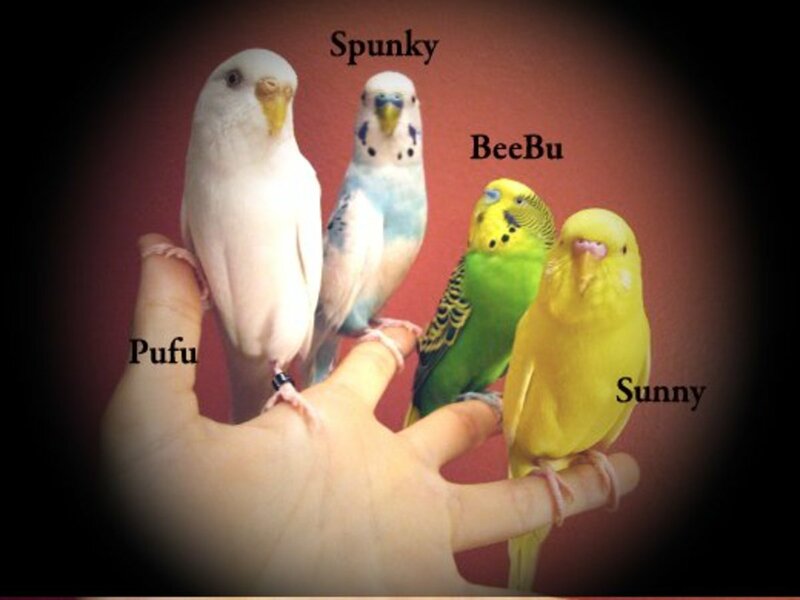 Here are some of the preferred treats among budgies. What foods can parakeets eat? 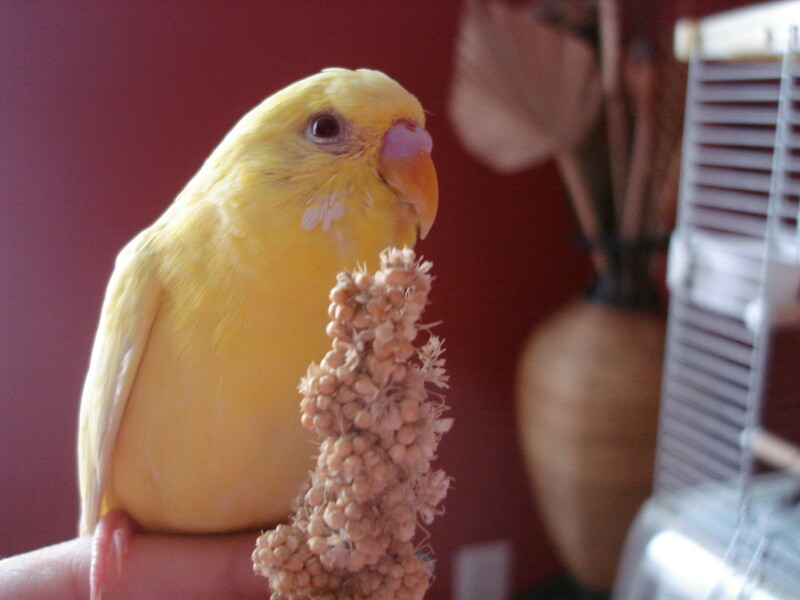 There are many foods such as seeds, pellets fruits, vegetables, nuts and treats for budgies out there. Here is how to give your parakeet a healthy and balanced diet. @chandrasena You must be some kind of special. Seriously you think they cut their wings off? They trim the edges so they dont fly away. Dont you trim your cats claws so they dont scratch you? Or cut your dogs hair so they can see? Or dont you cut your own nails so you dont hurt someone? Its the same thing. I have had many birds. They just trim them. Thy don't cut the entire wing off dude. How can you clip wings of a bird and call yourself human,don't you feel anything for these poor animals?,they don't need us to live their lives,why should we do all these things just to make yourself happy by torturing these animals,just see how their fellow wild ones live.It hurts me so much to see these supposedly the most intelligent animals/humans enslave and design these helpless animals to make themselves happy,It is sooo atrocious,please think about it ,somebody stronger than you captures/buys you, cuts your legs because you walk and keeps in a small space and use you for their sickly pleasure,they give you food and keeps you alive,how would you feel? i got my parakeet to step up unto my hand in less than an hour and a half when he first arrived, is this bad? now i feel like i forced him up but i was just putting in his food near him and he hopped up. 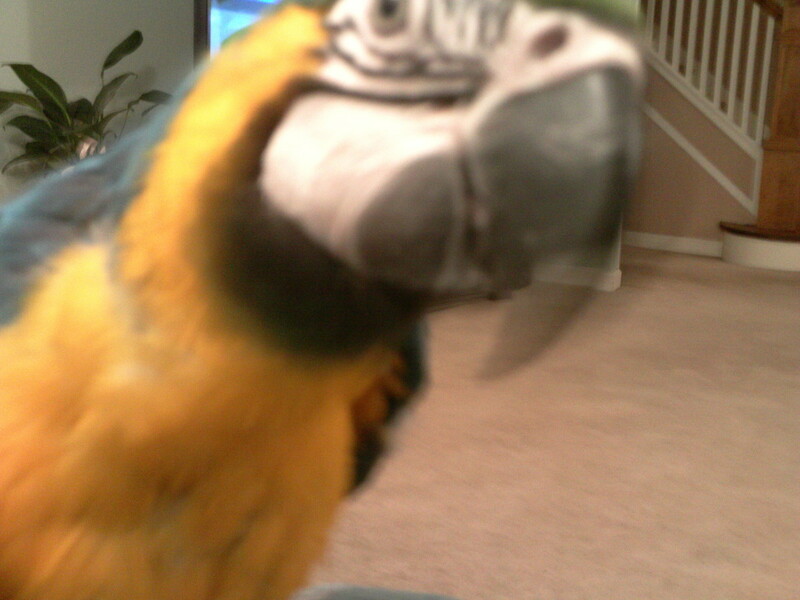 when i let my parakeet out of her cage she will fly back to her cage she won't stay out with me what do i do? 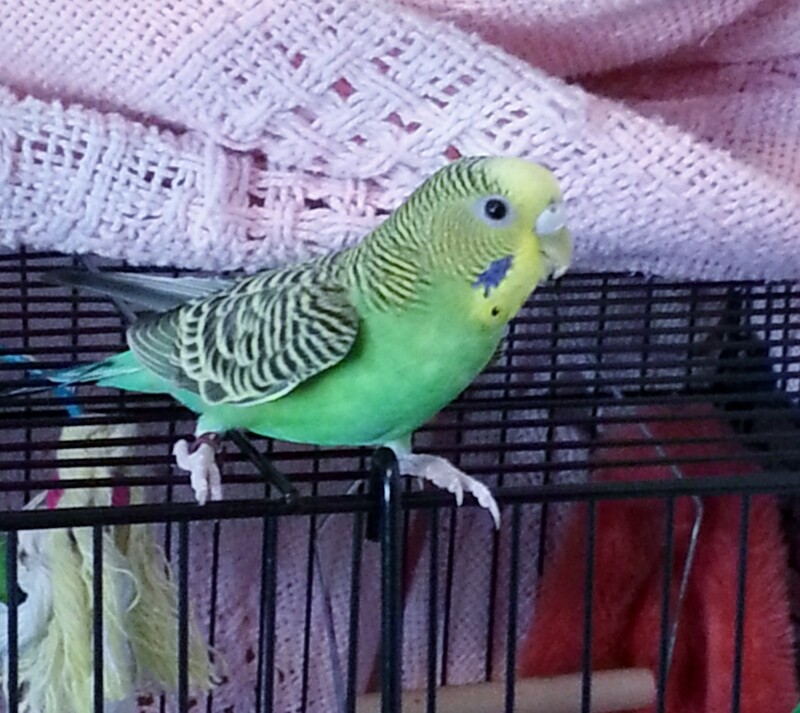 Hii, we just got a budgie, and have had her for 5 days. 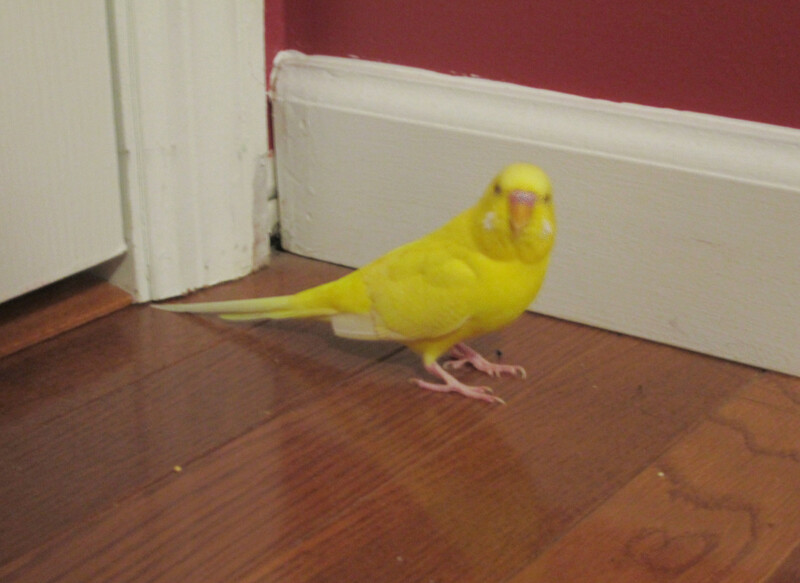 She gets along well with my other bird, who flies around the house, and tries to follow him when he passes her cage. We tried taking her out, but she flew around, hit the walls and windows, and refused to land on the perch given to her. I tried to put her on my finger, but she was terrified and flew around even more, and kept falling on the floor. I want to hand train her so she can come out and fly with the other bird, but I’m afraid she’ll hurt herself. I tried putting my hand in the cage to pick her up, but she panicked and flew around in the cage. How do I get her used to my hand??? I just got my budgies today and I got two. One of their wings has only one wing clipped, and the other has no clipped wings and can fly. I already brought them home, what should I do for this? taking him out of the cage is one battle of hard bites. Hey I tried to train my birds but when I take it out the cage it flies and gets scared someone help!!!! 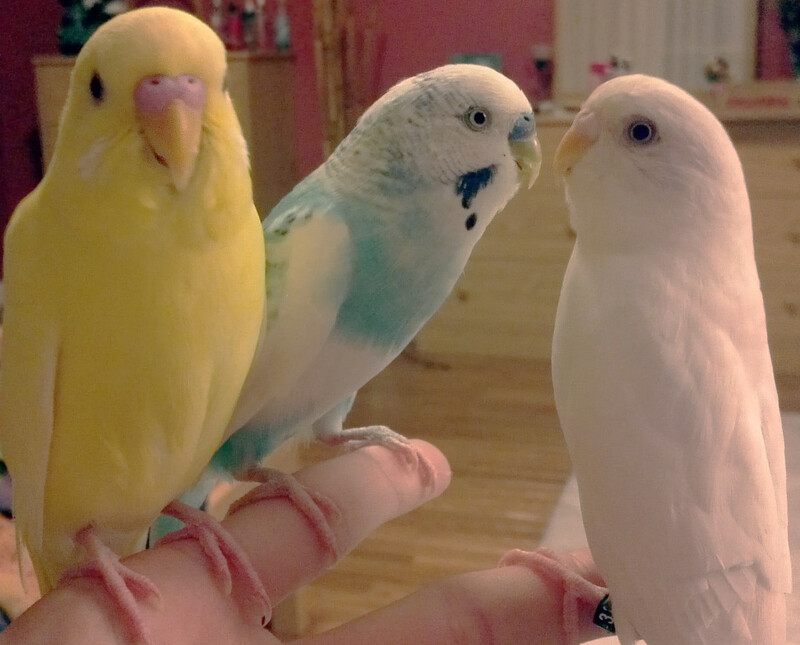 I have two parakeets, my female looks like Beebu and my male is a violet. I rescued Elliott (the violet male) first and trained him. But then I decided to get him a companion because he looked lonely. So I got Olive (the green female). Olive came from a regular pet store so she was very scared. After they started to live together Elliott became more scitish like Olive and now they are both scared of me. I think Olive has panick attacks because when I get anywhere near her she starts to breath really hardly and fast and freak out. And they don’t have their wings clipped so they fly away from me when the escape (but I really don’t want to clip their wings because I feel like I am taking away their freedom). I don’t know what to do!? I just got a lovely little bird, I was told that if I want the bird as a companion I shouldn't get a second one because it will bond with the other bird and not me. Is this true? If I can get a second bird should I wait till she is use to her new home? thanks for sharing, helped a lot! I have 2 birds, Sun and Moon, they look like sunny and spunky, they are not trusting in me and they are still not traind! very helpful and informative post dear, thanks for sharing, stay blessed. They really are full of energy at first (too much!) but you're right, once they are tame they are just happy cheery birdies all the time. I've trained some budgies similar to this before. They can be a little fickle when getting started but settle down after they've had some practise. Love the photos!